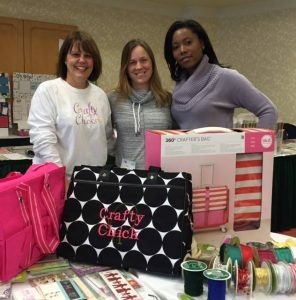 Crafty Chicks was founded by Darlene Wigglesworth and LaKisha Prewitt in 2014. Their mission is to bring people together for events where people can relax, have fun, and be creative. 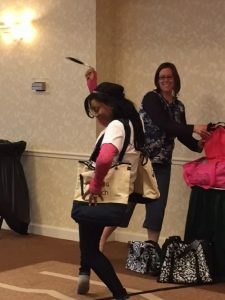 People join in to scrapbook, make cards, home decor, jewelry and even sew. It’s a wonderful getaway to spend time on your favorite hobby with friends. At each Weekend event a variety of classes are offered as well. At several of the weekend events, single day spots are also available. All of the events take place in central Connecticut. 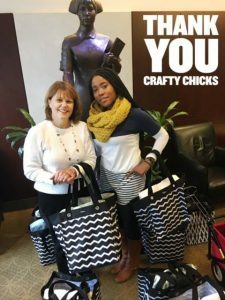 Contact craftychicks@outlook.com with any questions that you have, or to get on the e-mail list.